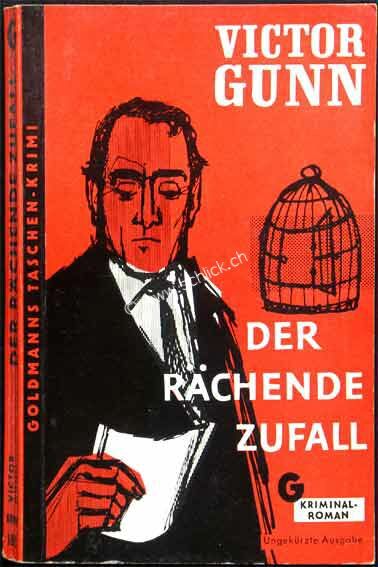 One of the most iconic of German Crime Fiction series is Goldmann Taschen-Krimis. 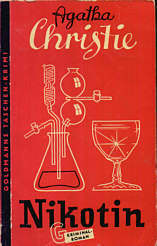 It was created as a pocketbooks series in 1952. 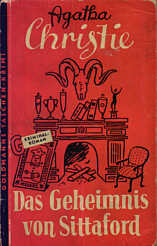 In this format, together with new titles it republished many books, which had previously been published by Goldmann before the War, such as Christie’s Das Geiheimnis von Sittaford. 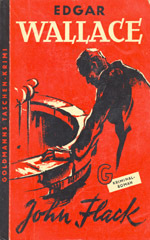 The Goldmann pocket books used to cost less than 2 Deutsche Mark (1,90) until 1960. 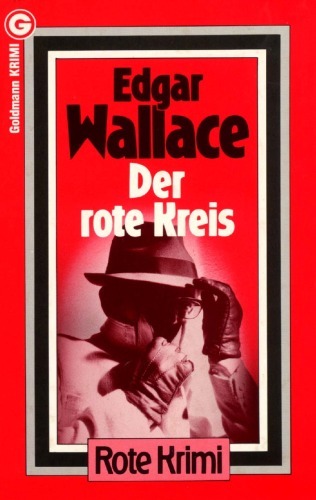 The price was then set at 2 DM. 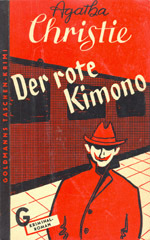 The series has sold hundreds of millions of its little red books. 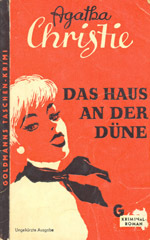 Due to the predominant red colour on the books cover, this series is also called die Rote Reihe, the Red Series. 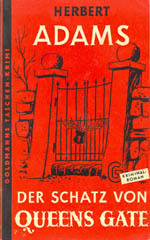 British authors were very popular with its readers and are very well-reprensented in the more than two- thousand titles published in the series. 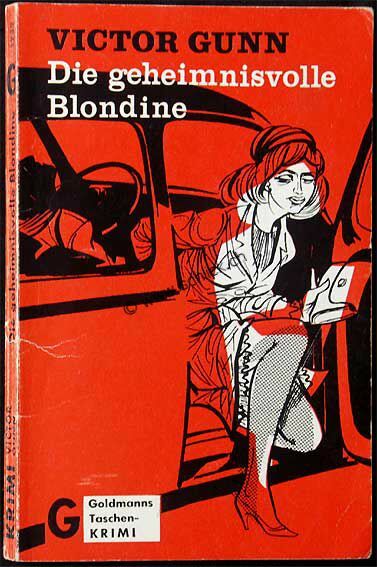 Victor Gunn (one of the pen-names of the prolific and polymorphous Edwy Searles Brooks ( 1889 – 1965) is one of them. 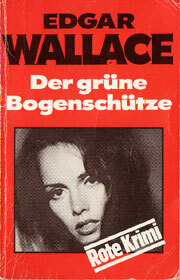 As are of course, Agatha Christie and Edgar Wallace. 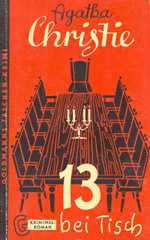 English author of ‘cosy’ mystery novels” and “golfing mysteries” , Herbert Adams (1874–1958) and his detective Roger Bennion, feature there too. 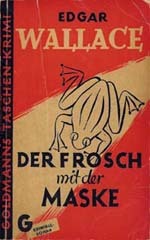 The very first book published in this series, in 1952, was Edgar Wallace’s Der Frosch mit der Maske (The Fellowship with the Frog ) translated by Alma Johanna Koenig.